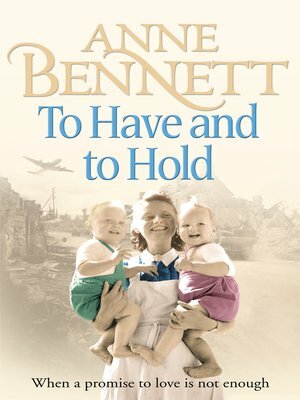 A stirring saga of a nurse who only wants to do her duty in World War Two – and who ends up having to make an agonising choice. Set in Ireland and Birmingham, this is the latest from emerging star of the genre Anne Bennett. Carmel Duffy is the eldest child of a brutal and abusive marriage, and she can't wait to leave home. She's equally determined to have no husband or children of her own – what she wants more than anything is to be a nurse. As soon as she turns eighteen, she heads for Birmingham and begins her training.